Vaikom Vijayalakshmi was supposed to get married to Santhosh on the 29th of March, and the couple got engaged on the 13th of December. But now, the latest reports suggest that the marriage will not happen as per schedule. Vaikom Vijayalakshmi called off the wedding as it was becoming difficult for her to keep up with her fiance's rising demands. Earlier he had agreed in staying with Vijayalakshmi and her family post marriage, but after the engagement, he began persuading her to move in with him. He also asked her to quit doing musical programs and settle down as a music teacher. The singer also said that it is her own decision to call the wedding off and that she is not being forced into it. 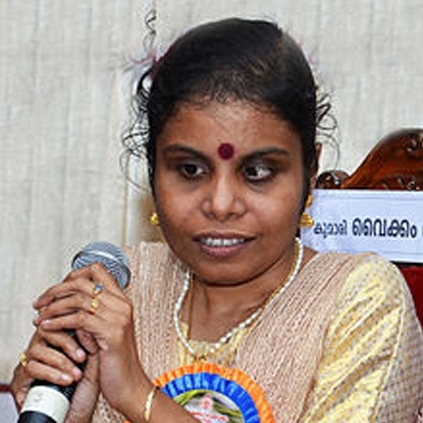 People looking for online information on Vaikom Vijayalakshmi will find this news story useful.